The Shed Cafe Miranda joined our Mission to help provide access to “Clean Water for All by 2030”. This Mission was initiated by the United Nations. A big thank you to The Shed Cafe Miranda’s team and customers for joining this extremely important mission on 02 May 2018. Enjoy a home-style meal with friends or pop in for the perfect shot of espresso on the go. Serving the best coffee and delicious rustic meals at various locations in NSW & ACT, with more opening shortly. Each location is a unique, quirky Shed creation. Calm earthy tones, industrial metal, concrete and brickwork and soft greenery work together to create an exciting, warm and relaxing space… an urban oasis. To compliment the local flavours and produce, menus are unique to each of The Shed locations, with each featuring their own amazing signature dishes. With new and exciting meals constantly being created there’s always something new to discover and taste. The Shed takes their coffee seriously. Like, really seriously, serving the highest grade 100% Arabica beans from some of the most outstanding coffee farms in the world. 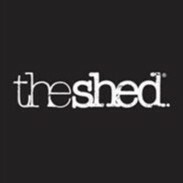 The Shed appreciates that it’s important to some of our customers that our high grade Arabica’s have been individually roasted and then blended to produce the perfect sweet, smooth well balanced coffee… and then there are other customers who just want a really, really good, hot, skim latte. We’ve got you all covered.